Farah Flossit here, hoping you all had a BOO-ti-ful Halloween! 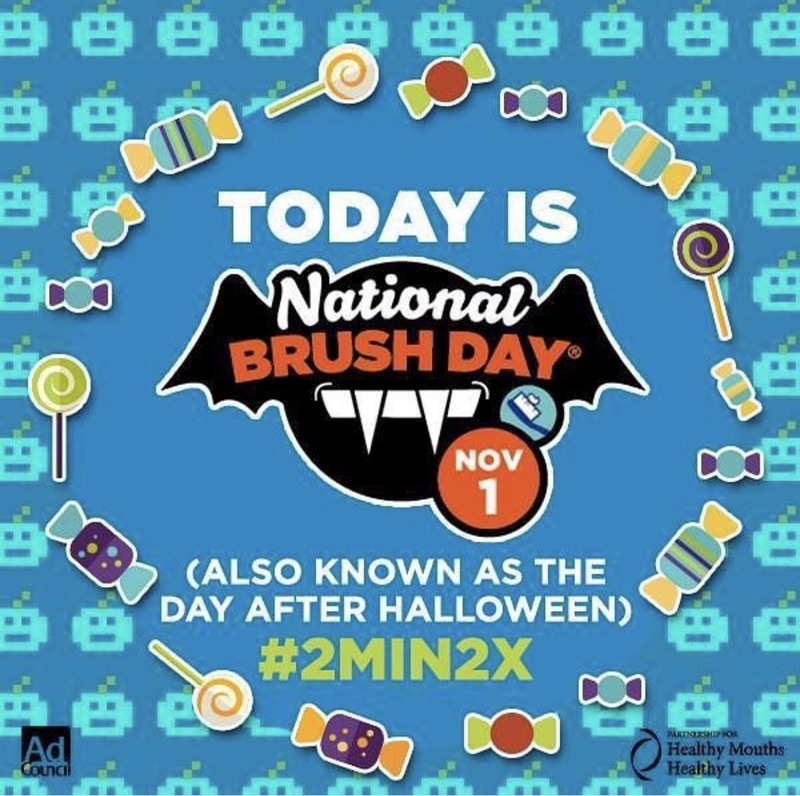 In honor of today being National Brush day, I’m excited to share some of the best tooth brushing songs for kids that I came across (compliments of the ADA-American Dental Association). 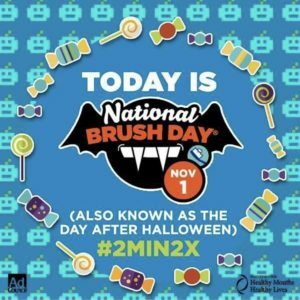 What better way to get your kiddos to brush at least 2x a day than with some tunes. Most children respond to music in a very positive way. Songs can be easily used to learn with a modeling approach and to help with transitioning to non-preferred tasks–such as brushing! Below are some favorites I think both kids and parents will enjoy! 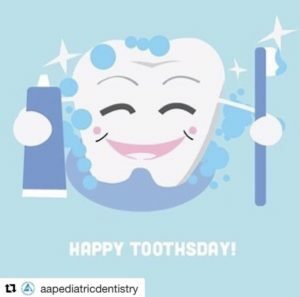 Set to the children’s nursery song, “Here We Go Round the Mulberry Bush”, this song emphasizes the importance of brushing twice a day with an easy-to-remember tune. Dudley the Dinosaur and friends break down all the steps for good dental care in the ditty you’ll be singing all day long. Add some rockabilly flair to your family’s brushing routine.